Click here to book any of our future events online using a credit or debit card. If you have any questions or comments about our events, please contact us. E A Bowles (1865 to 1954) was a great late nineteenth and early twentieth century plantsman who created a famous garden at Myddelton House, Enfield. He grew an amazing range of plants and wrote about them in his books My Garden in Spring, Summer and Autumn and Winter (1914-1915). He pioneered plantsman’s rockeries and loved snowdrops and crocus. The recently restored garden should have a superb display of spring flowers. After Myddelton we move on to Forty Hall, (where Bowles’ brother Henry lived) for a lunch of local produce in the stable block of the 17th century house. We loosely use the term ‘plantsman’, but perhaps the greatest of the late nineteenth and early twentieth century was the plantswoman Ellen Willmott (1858 – 1934), who devoted her life to her gardens at Warley Place and later on the French and Italian Rivieras. Our journey ends at Warley Place which is now run by the Essex Wildlife Trust. The house has gone but EWT maintains the remaining outdoor fabric. We will have a guide from EWT who will tell us about Ellen’s 100,000 different plants and 100 gardeners and its value as a nature reserve. Please note that we are organising a coach for this trip so that we all arrive at Myddelton House together! The pick up points will be the Mercure Hotel at J.8 of the M20, and Swanley (details will be advised nearer the time). Return approximately 4.30pm. Please book by April 1st so that we can confirm the coach booking. What is Britain’s greatest contribution to world culture? Writer and garden historian Ambra Edwards suggests it is the garden. It is an art form we have made peculiarly our own, and which we have been exporting to the rest of the world for the last three centuries. It expresses important ideas about what we value, what we believe in, what we dream of, and what we think is beautiful. So gardens are hugely important to us. Yet by their very nature, they are mutable, making them at once more interesting, and more fragile, than other forms of art. What makes them - and keeps them - special, is the input of the people who look after them. These are the Head Gardeners. If these individuals, who bring such pleasure to so many, were, say, singers, or footballers, we would be following their every move in celebrity TV shows or Hello Magazine. Yet, with a very few exceptions, we don’t know who they are. variety of skills. She also looks at the critical role head gardeners have played in Britain’s history – not just as artists, designers and engineers, but in underpinning the social fabric of their times. Her talk is illustrated with many wonderful photographs taken by Charlie Hopkinson. Garden, Gardens Illustrated, Country Living and Hortus. Head Gardeners was published to widespread acclaim in 2017 and named Inspirational Garden Book of the Year. This was followed in 2018 by The Story of English Garden, an accessible and richly illustrated history published by The National Trust. She is currently working with Penelope Hobhouse on The Story of Gardening, a world history of gardening, due for publication in Autumn 2019. This is an opportunity to explore part of the very overgrown grounds of Leeds Abbey and experience the setting of the house and garden where little has happened in the 250 years since Capability Brown worked there. Please be aware that the ground is very rough and the whole site covered with scrub and nettles (which is why a winter /spring visit is best). Suitable clothing and footwear will be necessary. Leeds Priory dates from 1119. The priory church was the size of a small cathedral and, during the dissolution of the monasteries, was dismantled on the orders of Henry VIII. A house was built on the foundations of the nave of the church around the end of the 1500s and this was known as Leeds Abbey. In 1765 the estate was bought by John Calcraft, the owner of Ingress near Dartford, who asked Capability Brown to re-landscape the grounds, in particular the water features. The dam and lake are still there but the house, of which nothing remains, was pulled down in 1790 and the grounds gradually became a wilderness. The remains of the priory were excavated in the 1970s but then re-covered again to protect them. The pigeon house which became the eye catcher on the hill, and the slype, the only remaining medieval building, are still there. 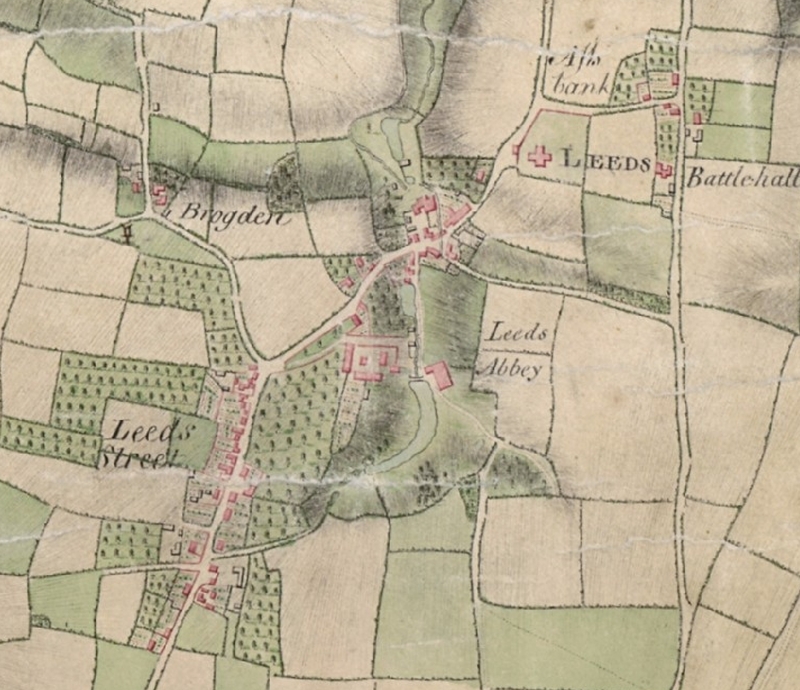 This walk is led by our trustee Dr Hugh Vaux, who was responsible for the chapter Leeds Abbey: A Hidden Brown Landscape in our book Capability Brown in Kent. The tour will finish at about 12.30pm. The day features a keynote talk from Repton scholar Professor Stephen Daniels, author of Humphry Repton and the Art of Landscape, who will show that Repton believed landscape gardening was one of the arts: a new kind of art at the bright beginning of his career, and one of the lost arts at the end. He will survey the repertoire of Repton’s artistic vision in relation to the wider culture of the period, including that of theatre and architectural design. He will also look at other commissions in south-east England, as well as his work with John Nash and his son John Adey Repton. 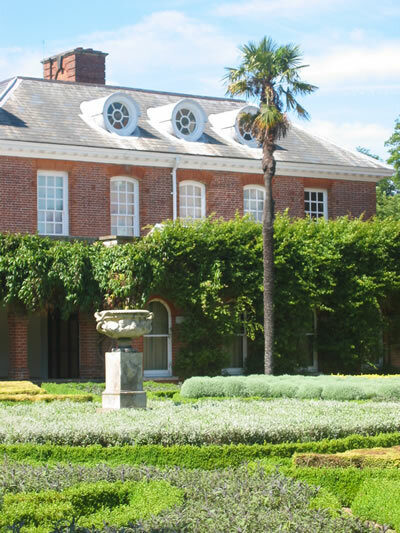 Other speakers will include members of the Friends of Cobham Hall Heritage Trust, and individuals who have been involved with the restoration of the garden. After lunch, there will be a guided tour of the grounds with the option of visiting the Mausoleum designed by James Wyatt in 1783-4. When many of the narrow streets of the pre-war city were destroyed in the Blitz, The City Corporation decided to take the opportunity of creating “breathing spaces”. Now in the most unexpected places, nestling in old churchyards and between the glass edifices of the 21st century city are a range of small, but beautifully landscaped and planted gardens. Amongst those we will see are a physic garden dedicated to the Elizabethan herbalist John Gerard, a newly landscaped nectar-rich garden in a bombed out church and a wild-flower garden nestling in the ruins of the Roman city wall. In the afternoon, we will start off by seeing a few of the new gardens around St Paul's, and then – hopefully – visit the Skygarden on the 35-38 floors of the infamous ‘walkie talkie’ building in Fenchurch Street. (Note - we can only obtain tickets – which are free - on the Monday before our visit so we cannot make a promise). If we are unsuccessful with getting entrance to the Skygarden, we will extend the afternoon tour with a visit to the new riverside plantings. The day will conclude at Monument. us on a marvellously revealing visit to the Olympic Park last year. 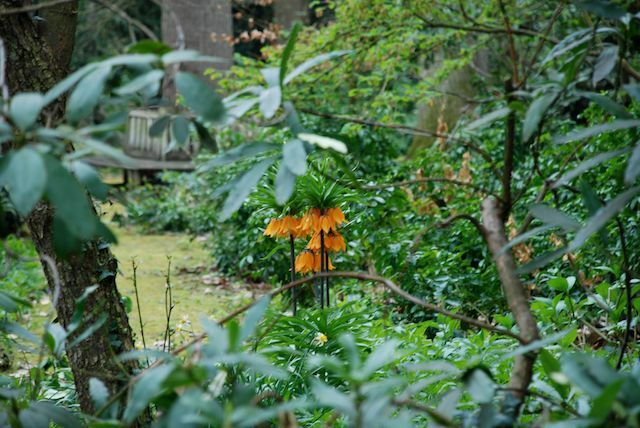 The garden at Church Farm is the creation of Elizabeth Doyle and her husband John, the distinguished artist. Seldom open to the public, this small and exquisite ‘painterly’ garden takes colour mixing and combinations to a new level, and far beyond the dreams of Gertrude Jekyll (admittedly she worked with a palette offering a far more restricted range of plants than we all have today)! It is a feast for the eyes. Incidentally, KGT organised a visit here in 2014 and we had a record numbers of delighted visitors. In the afternoon we visit Boldshaves, with a garden largely created during the last 20 years by Peregrine Massey who will be showing us around. South facing and partly terraced, there is a walled garden featuring semi-hardy and southern hemisphere plants, a Camellia dell, a red border as well as a “flame” bed, an Italian garden, a vegetable garden, and herb gardens featuring both culinary and medicinal herbs. Ancient woodland surrounds the house and garden. 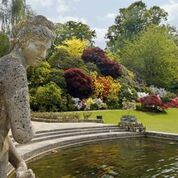 Join us for a private guided tour of Walmer Castle gardens by the Head Gardener who will introduce us to the historic and beautiful mix of formal and informal planting and grand scale herbaceous borders which have developed following the evolution of the castle from a coastal fortress to a rural retreat and family home. Many of the gardens are the result of efforts by past Lord Wardens such as William Pitt and his niece, Lady Hester Stanhope. In the 1790s, the Broadwalk Garden with its 80 metre herbaceous border was created by Lord Granville and his wife in 1865 and, more recently, the Queen Mother Garden was created in her honour by Penelope Hobhouse and opened in 1997. The kitchen garden with its extensive glasshouses has provided fruit and vegetables for the garrison and inhabitants of the castle since 1725. The gardens contain roses, an extensive yew cloud hedge, beautiful planting schemes and many specimen trees planted by past Lord Wardens including William Pitt, the Duke of Wellington, Winston Churchill and Queen Elizabeth, Queen Mother. After lunch, visit the castle at leisure. A fortress built by Henry VIII, the castle saw action only once in 1648 during the Civil War. By the end of the 17th century, it had became the official residence of the Lord Warden of the Cinque Ports and is filled with paintings and furniture collected by each in turn. The Duke of Wellington died at Walmer in 1852 and is commemorated by a wonderful exhibition of extensive memorabilia. The City of Rochester is known for its cathedral and castle but few people realise it has a wealth of green spaces, many with a long history. Join us for a morning walk to see the public historic gardens Esplanade and Castle Grounds followed by a short guided tour of the Cathedral-owned Cloister Garth and King’s Orchard. From there we stroll through the Vines to Restoration House. Restoration House is one of the jewels in Rochester’s crown. Dating substantially from the 16th and 17th centuries it is particularly remembered for Charles II staying the night there in 1660 on his way to London for his restoration to the throne. 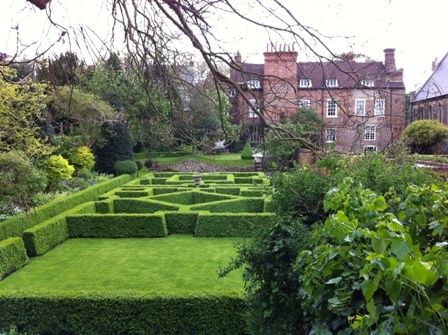 It has always been assumed that a Tudor garden existed at Restoration House. Little is known about the garden’s later development until the 1866 ordnance survey map showing a mature compartmentalised garden. Having fallen into decline in the 20th century the present owners have been restoring the gardens as well as the house. Each area of the enclosed walled garden reflects various stages of its history. The ambitious next stage is now in progress to incorporate a magnificent Renaissance-style water garden and an orchard. We are privileged to have the opportunity to visit the private garden at Stonepitts Manor, home of Mr and Mrs Hugh Ellingham. The garden, which has its origins in the 16th century, is arranged in a series of compartments surrounding the Grade II* listed Manor on three sides. We will be guided by Angela Ellingham and her gardener around the rose garden, swimming pool terrace, newly restored and very beautiful kitchen garden and orchard. The garden also contains ancient Wisteria, beautiful topiary as well as a natural dew pond which has been cleared and replanted. 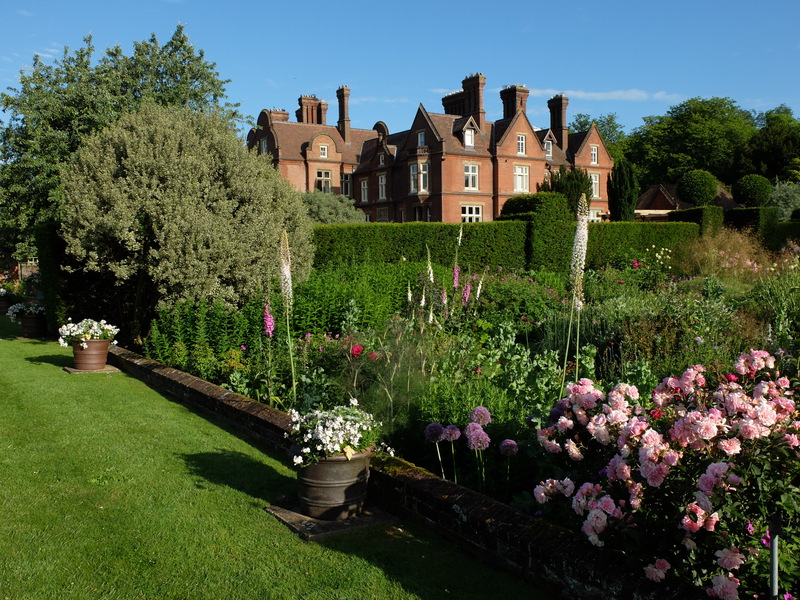 Terraces designed by Gertrude Jekyll in 1925 are lined with herbaceous borders and we will see correspondence between Jekyll and the then owners outlining her suggested designs for other areas together with her surviving plans for the garden. Following a delicious lunch in the dining room at St. Clere we will be guided around the wonderful garden by Head Gardener, Martin Platt, who will share stories of its history and more recent development and his involvement with the garden over the past 25 years. An early 18th century Prospect Mound was later remodelled by Inigo Thomas in the late 19th century and the garden now comprises ancient yews, rare shrubs and beautiful herbaceous borders. The storm of 1987 caused widespread damage and the destruction of the Lime Avenue. This was replanted in 1992 with further new planting schemes designed by Martin Lane-Fox. 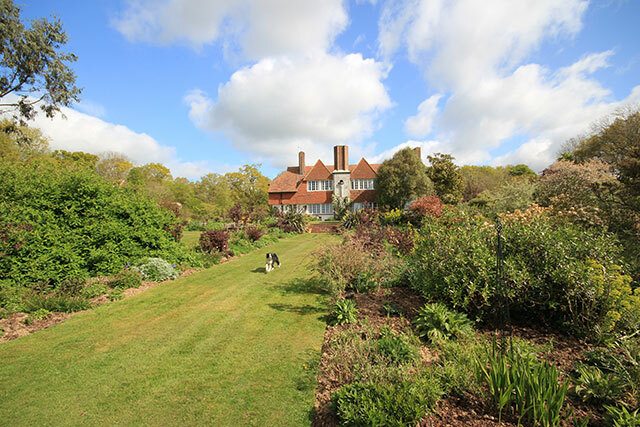 This day provides an opportunity to compare the Edwardian design and planting features that characterise these two famous North Kent gardens. Ephraim before we travel (by car) to Doddington. 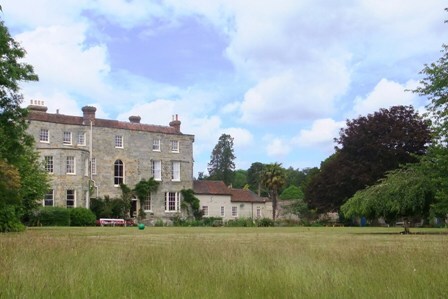 Doddington Place is surrounded by wooded countryside in an area of outstanding natural beauty on the North Downs. The 10-acre landscaped gardens are set in the grounds of a Victorian mansion. 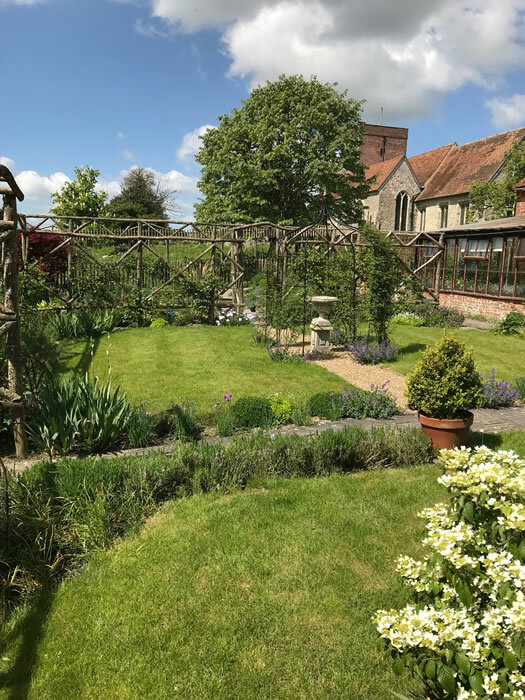 Key features are the 1960s woodland garden (which should be spectacular for our visit), a large Edwardian rock garden, a formal sunk garden with herbaceous borders, and a flint and brick folly. Extensive lawns and avenues are framed by amazing yew hedges and fine specimen trees. Depending on our numbers either the owner, Amicia Oldfield, and/or Head Gardener Lucy Adams will show us around. Tea at Doddington concludes our day. The Kent Gardens Trust Spring Lecture 2018 will be given by John Phibbs, renowned garden historian and author of leading books on Capability Brown. John will provide an overview of Repton’s career, and the distance he travelled from early works in Kent like Cobham Hall to late ones like Montreal. ‘I will try to put across my sense of wonder at what he achieved and how he managed it’. In 1788, five years after Capability Brown’s death, the great man’s business was falling apart under his erratic executor, Samuel Lapidge. Repton saw his opportunity to take over from Lapidge by working out Brown’s formula. By 1792 he thought he had, but in 1793 the cultural landscape of Britain was turned on its head by the French Revolution. First the radicals called for new liberties and then William Pitt the younger ended free speech with his gagging acts and embarked on a war with France that was to outlast Repton. Neither event inspired Repton’s clients to invest in landscape and in 1794, the year of the picturesque controversy, Richard Payne Knight and Sir Uvedale Price attacked Repton and the Brownian style he had adopted. Repton became embittered and felt that the art of landscape would die with him. The magic of this story is that with every setback Repton’s work became greater, more complex and more profoundly charged. Those magnificent works of his last years, while utterly different – Endsleigh, Ashridge and Woburn Abbey are among the survivors – may reasonably be compared with the greatest of Brown’s achievements. William Waldorf Astor bought the dilapidated keep at Hever and 630 acres of marshy land from the Meade-Waldos of Stonewall Park in 1903. By 1908 Joseph Cheal & Son had transformed the site into the basis of what can be seen today with 800 men digging the 38-acre lake over two years. Astor’s years as US Minister to Italy inspired the Italian garden populated with statuary he collected, and he heeded the important Boleyn history with Tudor elements which have been developed by the present owners. Two woodland walks, new water features and a rejuvenated 100-metre herbaceous border are recent innovations. 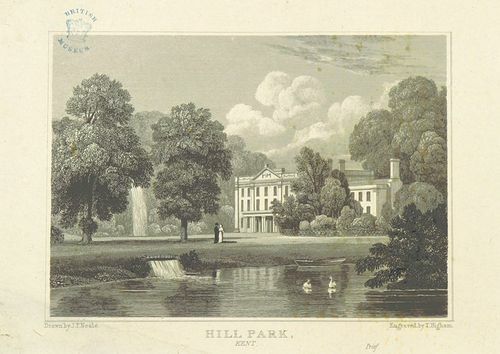 Stonewall Park was owned from the C15 by the Woodgates who sold it in 1843 to the Meade-Waldo family which Italianised the early 19th-century house. It stands commandingly on a sandstone plateau with extensive views over its park to the north, west and south. To the west are rose and walled gardens and lawns spread out to the south and east. North of the house is a dramatic azalea and rhododendron-filled valley, developed from 1843.
and Catherine Fleming and have tea in the striking iron-framed camellia conservatory attached to the main west elevation. term plans for the park and the surrounding area. Location: Meet at the Cathedral precinct entrance just inside the gate. from Jerrard’s journal of the 1550s), and illustrate how the grounds have changed through the centuries. "There is a beautifully kept 17th century walled garden, an 18th century landscape park, 20th century woodland, a Millennium parterre, and a brilliant new gravel garden." Ursula Buchan, Daily Telegraph. splendid time for the roses, peonies and cornus. Our visit will start with a light lunch in the tea rooms. who will then accompany us for a guided tour. 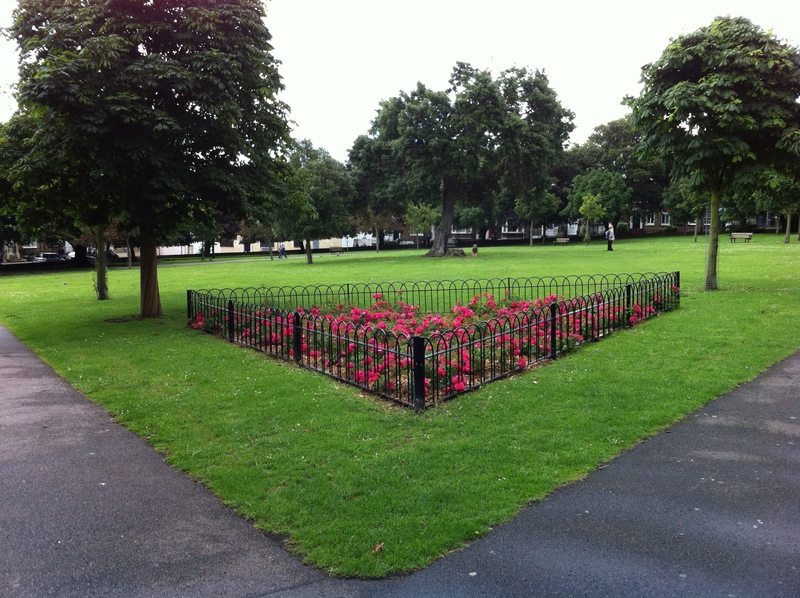 Medway has a fascinating history, fully reflected in the wide range of parks and gardens in the area. A Tudor garden has been discovered in Rochester which is now gradually being transformed into a Renaissance-style water garden. Chatham boasts fine examples of early eighteenth-century, formal town gardens, with design features still surviving today. Many sites are of high military importance given the association with Chatham Dockyard. The 19th and 20th centuries are also well-represented: in Rochester there is a significant Arts and Crafts garden; at the historic Rochester Cathedral gardens there are associations with Gertrude Jekyll; and a very good example of an early Edwardian municipal park can be found at Gillingham. In 2013, Medway Council, keen to record its heritage, commissioned Kent Gardens Trust to research the history and significance of many of these gardens. Paul Howarth, one of the volunteer researchers, will give a fully-illustrated talk about this major project and the parks and gardens involved. Paul will also consider some questions about the work of county gardens trusts which arise from the project. Following the success of our visits to Ramsgate and Margate, we return again to the east-Kent coast with a guided tour of old Broadstairs. A popular holiday destination during the 19th century (Charles Dickens visited frequently) it still retains its old-world charm of hidden cobbled squares, fishermenâ€™s cottages and vintage ice-cream parlours. Once more, we will be in the expert hands of Nick Dermott, heritage adviser to Thanet District Council. After lunch, we will visit the Dickens House Museum, once the home of Mary Pearson Strong, whom Dickens characterised as the fictitious Betsey Trotwood in David Copperfield. There has been a dwelling on the site since Tudor times, and the current museum houses many artefacts of the great Victorian author. We will end the day with a private visit to Seven Stones House designed by Sir Edwin Lutyens with a beautiful garden designed by Percy Cane. To help mark the 300th anniversary of the birth of Capability Brown, this year's Spring talk will be given by the well-known garden historian and author, Michael Symes. Michael is an authority on eighteenth-century landscape gardens and his talk 'The English Landscape Garden: Brown and Alternative Contemporary Visions' will set the scene for further events later in the year organised by the Trust (see 'A day at Chilham Castle' on 21st August). Michael's talk will provide the context for Brown's achievements and examine the role of other landscape architects working at the time. The event will coincide with the publication of the Trustâ€™s new, fully-illustrated book 'Capability Brown in Kent', which explores Brownâ€™s landscaping and architecture at five Kent estates. The book will be available for purchase at the event - Â£9.50 (Â£8.00 for Kent Gardens Trust members). The gardens at Gravetye Manor are particularly special and considered to be amongst the most influential in English gardening history. In 1884, the manor became the home of the botanist and revolutionary gardener, William Robinson, whose ideas about naturalised plantings, bringing nature into the garden that we often take for granted today, were seen as ground-breaking. His most influential books include The English Flower Garden and The Wild Garden. We will be given a guided tour of the garden where the focus by the head gardener Tim Coward, has been not only to conserve and re-create Robinsonâ€™s ideas, but also to create new ideas in homage to Robinsonâ€™s experimental style. After tea, we can explore the garden at our leisure. Marian Boswall is a landscape architect specialising in historic garden restoration. She is gardens adviser to a number of historic houses and trusts and a visiting lecturer at Greenwich University. One current project is the Charleston Centenary Project: developing the access, facilities and resources for this important museum and centre of literary learning, whilst conserving the landscape. We start with lunch at The Swan on the Green, West Peckham, a highly regarded pub in the middle of West Peckham. After lunch we drive 6 miles to Nettlestead. 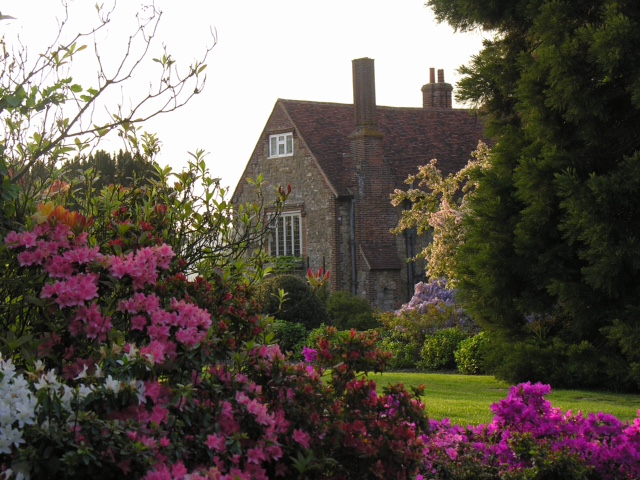 \r\nNettlestead Place is a mediaeval house on the site of an ancient manor mentioned in the Domesday Book. It is set on the west bank of the Medway valley and the gardens run to 10 acres. \r\n \r\nThe inner part of the gardens including the large stone lined pool and the rose gardens were laid out in 1921. After extensive damage in 1987 the gardens have been extensively enlarged and developed with many interesting plants. \r\n \r\nThe head gardener Anthony Bradshaw will be talking about the development of the gardens over the past 25 years and his plans for the future. Last year Nick Dermott, Heritage Advisor to Thanet Council, was ill and we had to cancel this event. We are delighted that Nick, who has unrivalled knowledge of Margate and its history, has now recovered and has very kindly agreed to revive the tour. Margate was the first fashionable seaside resort from early in the C18 when visitors came by boat from London. There are no less than 70 listed buildings in the town including one of the earliest theatres in the country and it has many literary and artistic connections. Turner lodged and painted there but it is less well known that the painter Walter Sickert lived and taught in Margate and T.S. Eliot wrote The Wasteland sitting on the pier. We will meet for coffee at the Turner Contemporary Art Gallery and after our guided tour of Margate and lunch at BeBeached Cafe we will visit the Gallery where there will be an exhibition of work by Grayson Perry. In 1994, Robert Tucker and Jonathan Wilmot purchased the grade I listed Restoration House and began the enormous undertaking of restoring this nationally important mansion and its much neglected, centuries old, walled and terraced garden. The results of their efforts are a joy for all to see. Red brick walls surround and divide the garden into distinct areas, each one reflecting various stages of its 500 year old history. Yew topiary, deep herbaceous borders, a lily pond and wonderful box parterres, replicating the patterns of the Jacobean doors of the house, provide visual focal points. In 2009, historic boundaries of the garden were returned to Restoration House, allowing Robert and Jonathan to embark, once more, on major restoration work - this time to the Tudor garden. Eventually this part of the garden will become a Renaissance, Mannerist-style water garden and an orchard. Robert has very kindly agreed to give us a guided tour of the house, to be followed by a simple lunch. In the afternoon, members may tour the garden at their leisure. Please note that there are some steep steps. 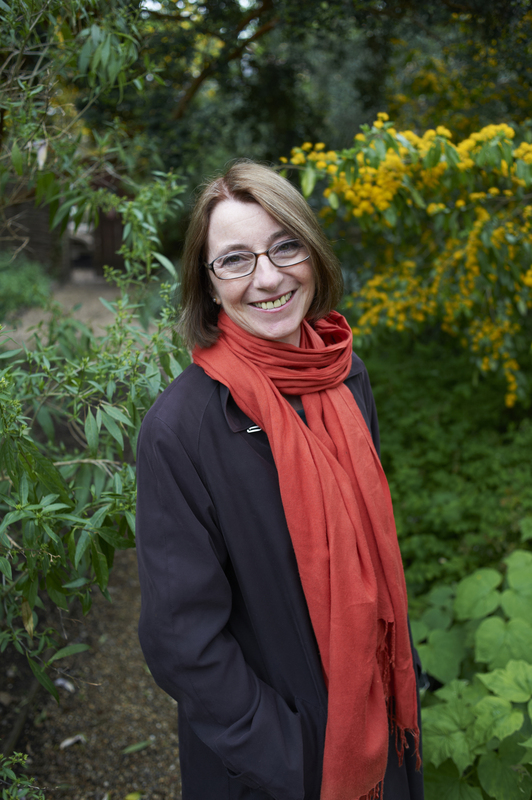 Susan Campbell is a foremost authority on walled kitchen gardens, and we are most privileged that she has agreed to deliver our second Annual Spring Lecture. Susan has been researching, lecturing and writing about the subject over the last twenty years, and her books include The Walled Kitchen Garden, A History of Kitchen Gardening and Cottesbrook. For this lecture, Susan will be concentrating on the history of walled kitchen gardens, and how new ideas and innovations in kitchen gardening came about through social and economic change. Tea and cakes will be served in the Garden Room following the lecture, and there will be an opportunity to visit the garden at Riverhill House afterwards. Tim Richardson will be well known to many. He writes on gardens and garden history for the Daily Telegraph, Gardens Illustrated, House and Garden and Country Life. He has written several books on gardens including Great Gardens of America, English Gardens of the Twentieth Century, Arcadian Friends: the Makers of the English Landscape Garden and his latest book The New English Garden on which his talk will be based. Tim is the mastermind behind the Chelsea Fringe the alternative garden festival which overlaps the Chelsea Flower Show and involves numerous garden related events around London. Tim is an incisive and insightful critic of gardens and his talk will be thought provoking and stimulating. At Sussex Prairie Garden Paul and Pauline McBride have created an amazing six acre garden which the two of them manage with only intermittent outside help. The site was initially a flat field surrounded by mature oak trees but the swirling masses of largely perennial plants create exciting vistas of colour and form in a very modern style. There are many grasses which should be at their best at the time of our visit. <br /> <br /> After lunch in a local pub we will visit Clinton Lodge Gardens which is very different in style. The six acre garden here is divided into several smaller gardens of different character (a small potager, an Elizabethan knot garden, a pre-Raphaelite allee and so on). The planting is formal and romantic with good views out of the garden. We are hoping to have a short talk from Lady Collum, the owner, and you will then be able to wander round at your own pace. Tea in the lemonry will end the visit. Nick Dermott, Heritage Adviser to Thanet Council, has very kindly agreed to conduct us on a tour of Margate after the very successful visit to Ramsgate last year. Margate was the first fashionable seaside resort from early in the C18 when visitors came by boat from London. Margate has no less than 70 listed buildings including one of the earliest theatres in the country and many literary and artistic connections. Turner lodged and painted there but it is less well known that the painter Walter Sickert lived and taught in Margate and T.S. Eliot wrote The Wasteland sitting on the pier. We are privileged have as our guide Nick Dermott, who has unrivalled knowledge of the town and its history. We will meet at the Turner Contemporary Art Gallery and after lunch there will be a tour of the Gallery. Elizabeth Doyle and her husband, the artist John Doyle, have created a sensational garden around their old farmhouse in east Kent where brilliant colours chosen with an artists eye combine with meticulous design and planting to create a breathtaking effect. The garden is not open to the public so we are most privileged to be allowed to see it, when it should be at its peak. 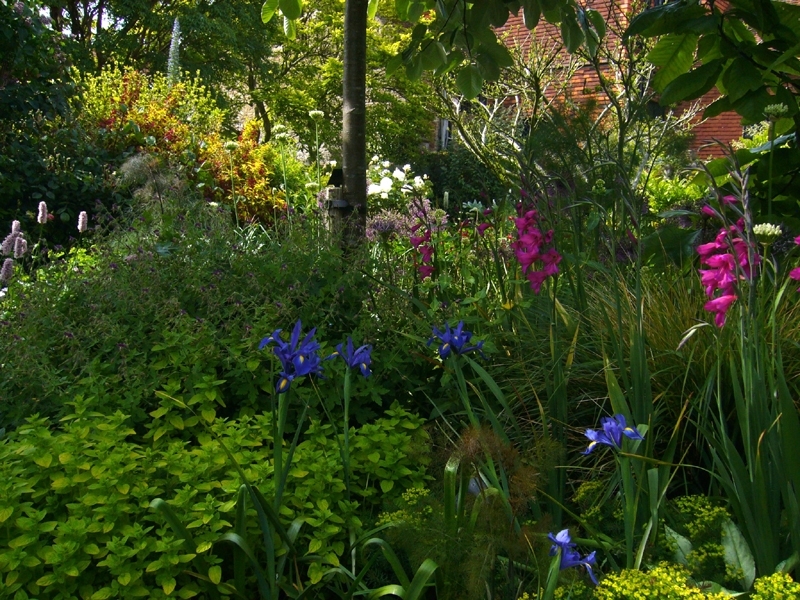 Plantsman and garden designer Roger Platts has won no less than 7 Gold Medals at Chelsea being awarded the prize for Best Show Garden in 2002 and Peoples Choice in 2010. His designs combine a naturalistic style and generous planting with traditional features to create the classic English garden. 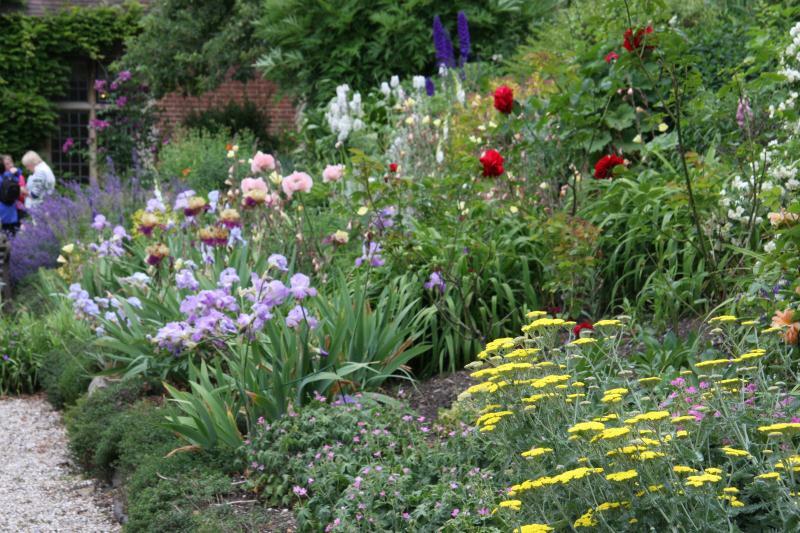 His own remarkable garden at Leydens showcases his talents and ideas. 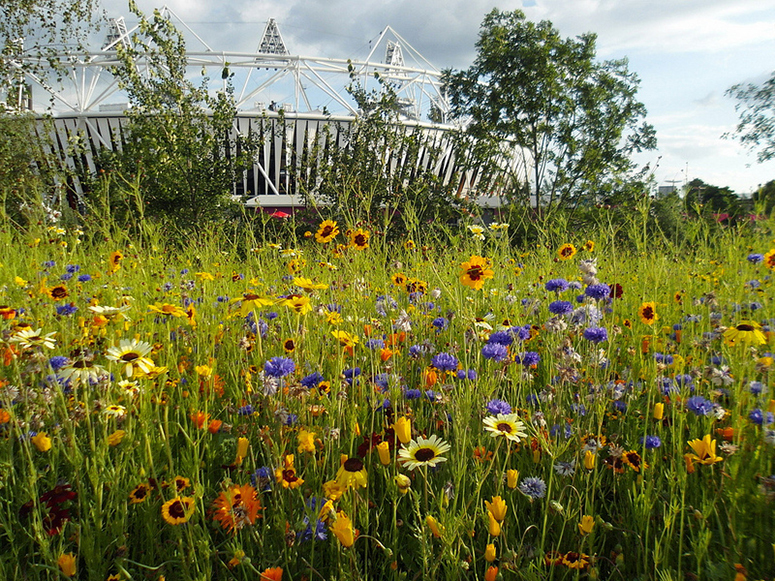 Roger has kindly agreed to talk about Garden Design in general and his experiences of designing gardens for Chelsea. We will have lunch in a local pub. Graham Lloyd-Brunt and Ewan Brown moved to Calico House in 2006. Graham is a garden designer and wished to create a garden to complement the house which was built between 1400 1600. Topiary yew hedges and three terraced lawns which date from the 1920s have been retained but each level has been developed to acquire a distinct character. A summer rose border is next to the house and on the middle lawn Arts and Crafts style borders in cool hues run from the kitchen door to a distant fountain. A cloister of stilted hornbeams provides a breathing space on the top lawn. This will be a wonderful opportunity to see a newly designed garden created within an old setting. The Garden Museum was set up in 1977 to rescue the church of St. Marys where the great gardener and plant hunter John Tradescant and his son are buried. The museum contains a collection of gardening paintings, tools and artefacts and is dedicated to celebrating the British love of gardens. A charming C17 style knot garden is planted with species introduced by the Tradescants. Christopher Woodward, the director, will greet us and after a conducted tour of the Museum there will be an opportunity to see the current exhibition, Fashion and Gardens which explores the relationship between fashion and garden design. Lunch will be in the delectable Garden Cafe. 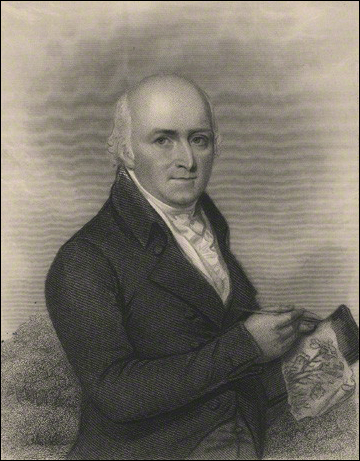 Robert Peel is vice-chairman of the Garden History Society and organises tours for the Society. He studied garden history at the Architectural Association and has co-authored a book on the plant collections of the Marquess of Bute. Robert lives for part of the year in Argentina. His talk, which is based on one he gave recently at the Lindley Library, will cover how he has created a garden in the Argentine Pampa and the historical context of gardening there. Jane Cordingley, KGT trustee and head gardener at Eltham Palace, conducted a tree identification day recently for our research group which was such a success that we are repeating it for the benefit of KGT members. Jane is a very expert plantswoman with a deep understanding and love of trees. She will provide guidance and instruction on how to identify many of the more common native trees which can be seen in the beautiful park at Doddington and also some more unusual trees in the historic garden. There will be a tour round the garden in the afternoon. The day will end with a light-hearted test of what we have learnt. Location: Heronden, Smallhythe Road, Tenterden TN30 7LN. Directions: From Tenterden take the Smallhythe road (B2082). In less than 1/2 mile you will see a Tesco store on the left. Continue on Smallhythe Road and take the next turning on the right (about 200 yards) which is a private road to Heronden. A KGT sign will be put at the road entrance. Any problems on the day please telephone Elizabeth Cairns: 07860 177101. Peter and Vicky Costain have transformed the C19 walled garden at Heronden near Tenterden with a sensational contemporary planting scheme of grasses and perennials which should not be missed. The house is set in fine parkland with some handsome mature trees and a ha ha. The lawns are bordered with some interesting shrubs. We will have tea in the garden. Ramsgate was a highly fashionable seaside resort in the late 18th and 19th centuries and contains many charming squares and gardens. We are privileged to have as our guide Nick Dermott, Heritage Adviser to Thanet Council who has unrivaled knowledge of the town and its history and literary and artistic connections. Our visit will include Madeira Walk with its remarkable Pulhamite rockwork and the delightful Vale Square, Albion Gardens and Liverpool Lawn named after the 19th century Prime Minister. Chevening has one of the great gardens of Kent, registered Grade I on the English Heritage register of parks and gardens. Originally laid out in the early 18th century for the Earl of Stanhope much of the early design, shown in an engraving by Kip published in 1719, still survives. The garden contains some magnificent trees including mature cedars and limes. Elizabeth Banks prepared a study and management plan of the garden and the trustees continue a sensitive programme of development and restoration. The afternoon will end with tea in the Brew House. When the present owners, Mr and Mrs Parker bought the Salutation, the garden designed by Edwin Lutyens and Gertrude Jekyll was sadly degraded. Since then it has been beautifully restored and replanted. Steve Edney, former head gardener, will take us round the garden and tell us how this has been achieved and how it has been possible to retain the Edwardian atmosphere while accommodating around 30,000 visitors each year. We will have tea in the Tea Room. Susan Pittman wrote her doctoral thesis on Elizabethan and Jacobean Deer Parks in Kent. She has kindly agreed to give a talk on deer parks and her chosen location for this is the beautiful C16 manor house of Boughton Monchelsea Place which has its own deer park and herd of fallow deer. The 1650 boundaries of the park still survive. After her talk we shall have a tour of the park and the charming garden and the afternoon will end with cream tea. The Conservation and Management of Historic 20th century Flower Gardens We are honoured that our annual autumn lecture this year will be given by John Sales. John was Gardens Adviser for the National Trust for 25 years and is eminently qualified to talk about the particular problems surrounding the conservation of flower gardens The conservation of the built elements of gardens such as terraces and garden buildings is well understood but conserving the planting is a much more complicated undertaking. John proposes guidelines for the guardians of historic flower gardens. 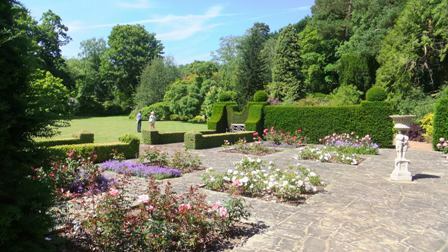 The garden at Hole Park was laid out in the early 20th century by Col. Arthur Barham with formal compartments around the house and a woodland garden. The family have a remarkable archive containing plans, photographs and notebooks which record the creation and development of the garden. Dr. Barbara Simms, lecturer in garden history, editor of the Journal of the Garden History Society, author of a biography of John Brookes and specialist in 19th and 20th century gardens will give an introductory talk on the fashion for formality in the early part of the 20th century. The present owner, Edward Barham will then tell us about the creation of the garden by his great-grandfather. After lunch we will have a guided tour round the garden which will be looking wonderful with spring flowering shrubs and trees.